Wildly creative Swiss voice artist Andreas Schaerer has a duo with drummer Lucas Niggli that explores extended free improvisation very fruitfully. Expanding that group to a quartet – with Luciano Biondini on accordion and Americana-inclined Finnish guitarist Kalle Kalima – brings more order to the proceedings. Their first recording is described as a set of short stories, which does give the overall flavour. The 11, song-based tracks, most of them three or four minutes long, certainly have clear structure: beginning, middle and end. And there are many words. It’s a polyglot affair, with songs in Italian, Swiss-German, and Finnish, so no comment here on what the songs may be about. There is one English lyric, but otherwise I’m personally content to hear Schaerer’s voice as an instrument. Musically, the four offer a nice variant of what I think of as the ACT-label’s European sound – the vocal quality of the accordion blending beautifully with the varied voice work, but also dancing with Kalima’s clean-toned, rock-inflected guitar lines. There’s exuberant, up tempo work here, with the collective rhythmic energy of the opener Aritmia, the racy Getalateria, which features yodelling against driving folk-rock figures that Fairport Convention would be happy to own, or the warm, raggedy beat of Planet Zumo. Most of the songs, though, are more reflective. And while there are modest helpings of Schaerer’s mouth percussion, vocal trumpet, and super-fast scatting, he spends more time than usual singing straight, sometimes in duo with just guitar or accordion, sometimes with the whole band. He could clearly, among many other things, be an unusually skilful pop singer, caressing every word in any language you please. Sometimes, the delivery has an almost devotional purity, every note drawn out, sometimes it is more gently musing – either way the others underline the mood faultlessly. These pieces get stretched a little more live, as YouTube quickly reveals. Still, their studio session is a very attractive calling card. 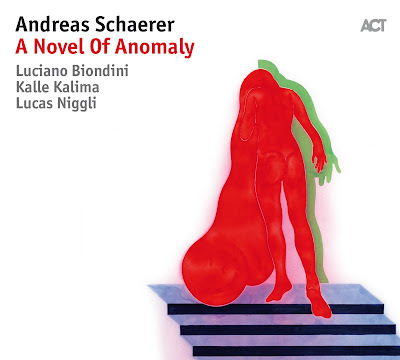 The quartet doesn’t project the high-wire virtuosity of Schaerer’s other current quartet Out of Land, but this slightly lower-key effort, like all his projects, still conveys a powerful feeling of joy in music-making.